I made a long overdue trip to Borough Market in London last weekend. I used to work close by and spent most of what I earned there, however now only get to go after board meetings when I’m normally feeling so beaten up I can’t get out of Dodge quick enough. Fortunately this time was a non board day so I could take my time. It gets more touristy every time I go however it is still a great experience. 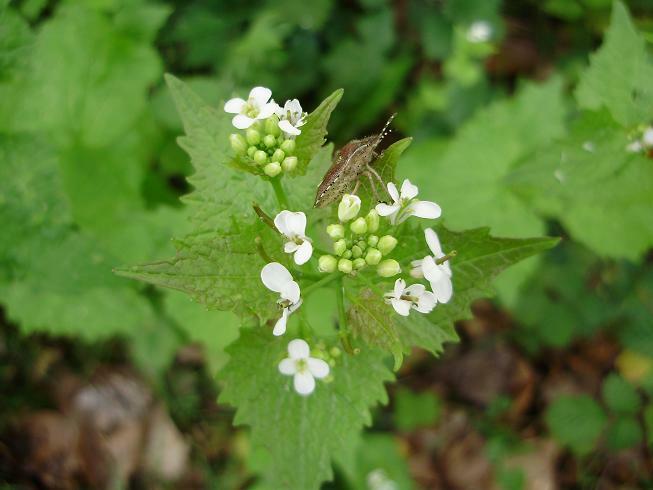 I always find something new and this time I discovered that the large annoying patch of weeds growing in my garden that I have spent the last couple of weeks trying to Roundup outta town are actually Jack by the Hedge AKA garlic mustard and were being sold as if they were the new wild garlic. I’ve got a few ideas for what to do with them but they’re for another day. One of the things I bought were razor clams from Furness Fish. They always have a great selection of fish and shellfish. I love razor clams despite them being time consuming to clean. One of my favourite ways of cooking them is with Jamon and broad beans. We served them with a nice chilled glass of the recently released Tio Pepe Fino En Rama. Bring a large pan of well-salted water to the boil. Add the beans and blanch them for 1 minute, then drain them and plunge them into iced water for 2 minutes. Drain the beans and pat dry. Heat 4 tablespoons of extra virgin olive oil in a large sauté pan or heavy-bottomed frying pan over a medium heat. Add the ham and cook gently for 30 seconds. Add the shallots and cook for a further 30 seconds, then add the garlic and cook for a couple of seconds more. Add another 4 tablespoons of oil and the stock, and simmer until the liquid has reduced by half. Add the broad beans, season with salt and pepper and cook for 1 minute more. Heat a grill to high. Put the razor clams on a tray flesh side up and cook for 1 minute, until the flesh is golden brown. 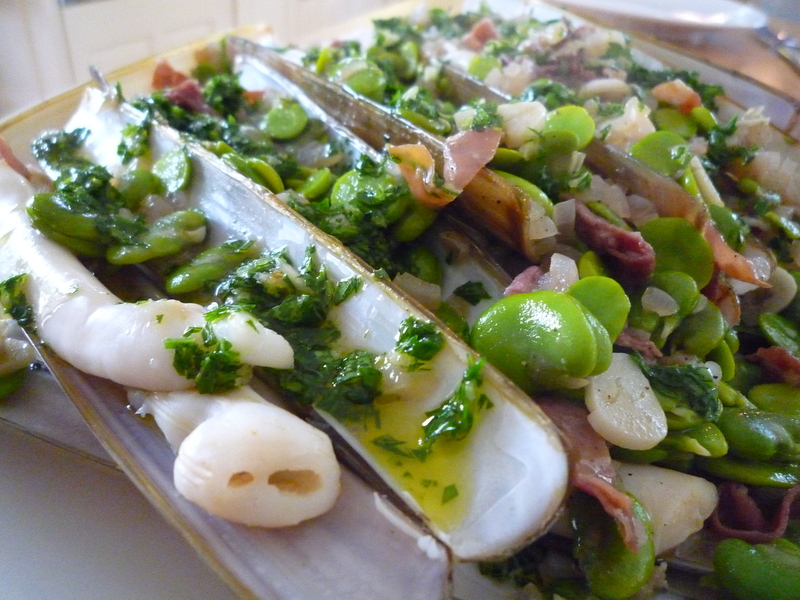 Divide the clams between serving plates and spoon the broad beans and ham over the top and into the shells. Drizzle with the garlic and parsley mixture and serve. It’s a super-fresh fino sherry made by Gonzalez Byass in Jerez, Spain. It’s bottled in limited quantities and available for just a few months every spring. It’s as close as you can get to tasting the wines straight from the barrels in Andalucia. 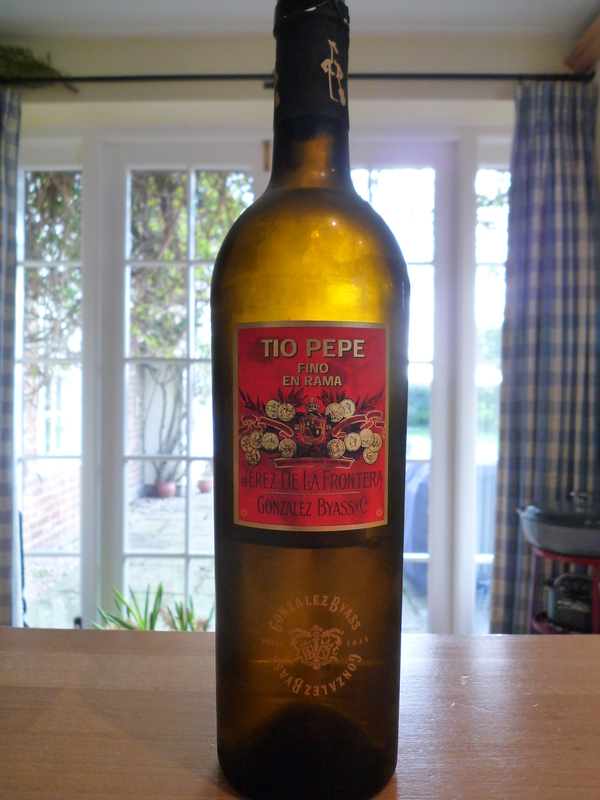 Tio Pepe En Rama is an unfiltered, unclarified, fino sherry bottled on 8th April in its most natural state. At the end of 2012, winemaker Antonio Flores selected around one hundred barrels from two of the Tio Pepe soleras. (A solera is a method of maturing wines in barrels by fractional blending). From these, 67 barrels were identified for their quality and particularly thick surface covering of ‘flor’ yeast. Flor* imparts fino’s distinctive nutty, bready aromas and flavours, and is vital to the production of Fino sherry. It is intense and complex on the nose with aromas of bread dough, old oak barrels, dried crystalline fruits (kumquats) and fresh almonds. It’s full, dry, and intense on the palate but with a fresh citrus burst. Enjoy served well-chilled as an apéritif with salted almonds or cashews,air-cured meats, or Razor clams with broad beans and Jamon as we did. Categories: Food | Tags: Andalucia, Antonio Flores, Borough Market, Fino, Fino En Rama, Furness Fish, Garlic mustard, González Byass, Jack by the Hedge, Jamón serrano, Jerez de la Frontera, Razor clams, Sherry, Spain, Tío Pepe | Permalink.